Catastrophe bond fund managers are not anticipating any loss to their investment holdings due to hurricane Harvey, although the mark-to-market impact witnessed in recent days could cause a limited hit to net asset values as cat bond positions thought most at risk of a major Harvey hit recover. The latest insurance and reinsurance industry loss estimate for damage caused by hurricane Harvey wind and storm surge is for an impact of up to $2.3 billion, according to AIR Worldwide. This is below the levels where it would be expected that catastrophe bonds would begin to pay out, given most cat bonds are structured to provide coverage for much larger industry loss events. The flooding, which is a major concern in the Texas region as Harvey continues to dump heavy rains and is likely to cause tens of billions of dollars of economic flood losses, is not covered by catastrophe bonds, which are designed to cover the wind and surge aspects of a tropical storm or hurricane only. So right now it seems that all catastrophe bonds will be safe from impact due to hurricane Harvey, although the fate of the Class B Fonden 2017 notes remains a little less secure and investors in that deal may have to wait for the final tropical cyclone report to be released by the NHC. Other than that, the only likely impact will be to any aggregate catastrophe bonds covering the Texas area against named storm impacts. These cat bonds could see their aggregate deductibles eroded further, increasing the risk of loss for later in the year. Given some aggregate cat bonds have faced severe thunderstorm related aggregate deductible impacts already this year, Harvey has the potential to push some closer towards attachment, although it’s not expected to be significant and this could be more of an issue for private ILS and collateralized reinsurance deals. So catastrophe bond fund managers are largely comfortable that hurricane Harvey will be a non-event for their portfolios. 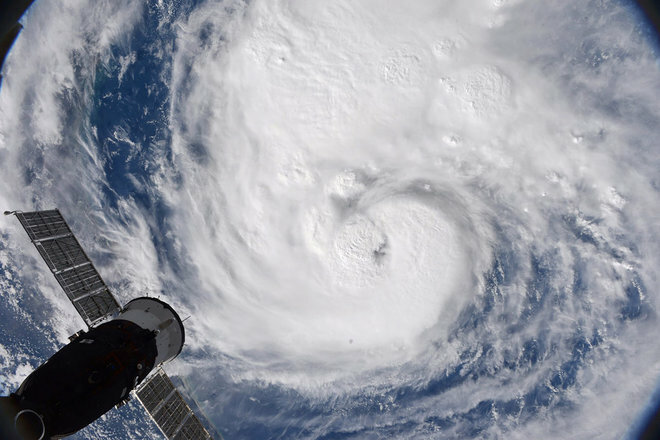 Plenum Investments, a Zurich based cat bond fund manager, commented; “Harvey will cause significant economic damage, but it is still too early to quantify its likely height. In contrast to damage caused by wind, flood is usually not insured, which limits the loss potential for the insurance industry from this event. This is also the reason why no CAT bonds are expected to suffer notional losses from this event. According to our internal analyses, we do not expect any negative impact on the positions held in the Plenum CAT Bond Fund. This assessment is also in line with the assessment of other market participants. Fellow Zurich headquartered cat bond and ILS fund manager Twelve Capital also commented on hurricane Harvey, saying; “Harvey is mainly a water, not a wind event. Thus, the contribution from flooding to the total insured loss is highly uncertain. Flood losses to residential and commercial buildings are typically covered by policies from the National Flood Insurance Program (NFIP). Occasionally, such losses may “leak” into wind policies. Furthermore, business interruption is likely to contribute heavily to the overall losses as many businesses may be shut down for days or weeks. “Currently, information provided by the catastrophe model agencies indicate that Cat Bonds are unlikely to have been affected by the hurricane. It will take a few weeks until final loss estimates are available. Swedish catastrophe bond fund manager Entropics Asset Management, said that it didn’t expect any impact to liquid cat bond positions, however the secondary market impact could take some days to recover. “Indicative market prices on Friday last week will reflect the uncertainty faced before landfall. This could lead to temporary effects on Funds of less than -0.50 percent regarding Swedish Krona nominated share classes, which we expect to soon recover,” Entropics explained. Also commenting on Harvey, a Fermat Capital Management representative told journalists at Bloomberg that they did not think the cat bond market was unduly concerned about a loss from the storm. It is the private ILS and collateralized reinsurance contracts where the majority of ILS fund managers, who invest in such deals, will be looking for potential losses now, as cat bonds appear to be in the main safe from Harvey exposure. Also exposed are reinsurance sidecars, with some that provide retrocession to the major reinsurers of the world potentially on the hook for any loss escalation their sponsor suffers. ILS fund managers are responding quickly to the event it seems, with those we’ve heard from already aware of which contracts are likely most exposed and some having been in touch with the ceding companies in question already. There appears a willingness to proactively try to understand where losses lie in ILS fund portfolios, both for the benefit of the investors in the ILS funds but also for the cedants who benefit from the reinsurance and retrocessional coverage these ILS contracts provide.